For years, A Song of Ice and Fire fans have argued over the true nature of Coldhands, a mysterious, vaguely undead character who assists Bran Stark in his journey north of the Wall. 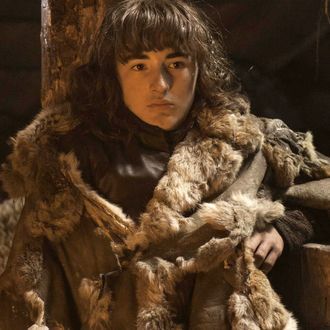 Is he, as many argue, actually Bran’s long-vanished uncle Benjen in disguise? Now, thanks to one intrepid Redditor, we have our answer. User _honeybird visited Texas A&M’s Cushing Library to read the original manuscript of A Dance With Dragons, which was full of numerous handwritten notes between George R.R. Martin and his editor, Anne Groell. 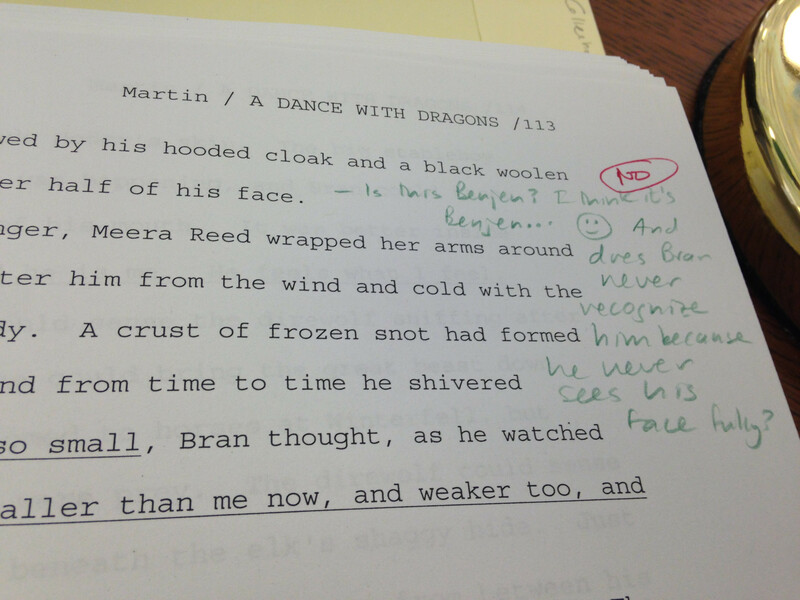 Scribbled in the margins at Coldhands’ first appearance, Groell asks, “Is this Benjen? I think it’s Benjen … [smiley face].” Martin’s response, circled in red: “NO.” If only all ASOIAF fan debates were so easily solved; now we just need Groell to ask a question about Jojen Paste, and the world of message boards can live in harmony forevermore.